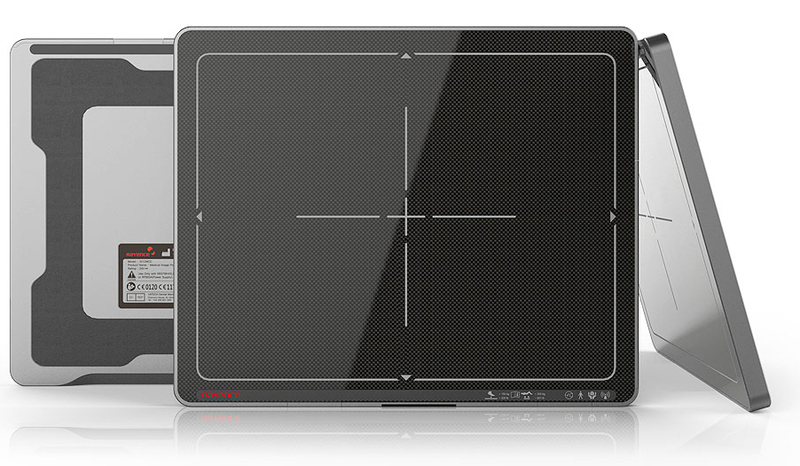 Rayence Inc is a subsidiary of Rayence Co Ltd, a global leader in the design, development, manufacturing and supply of digital flat panel detectors (FPD) and radiography equipment . They offer a complete line of high quality detectors in a variety of sizes that are specifically designed for medical, dental, veterinary, and industrial applications. 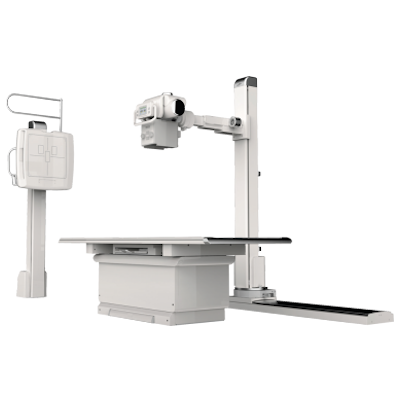 Compact and scalable, the XR5 is well suited for all exam types and imaging environments, especially orthopedics, imaging centers, and urgent care centers and is compatible with all Rayence detectors. Enhance both staff workflow and the patient experience with auto tracking of the vertical wallstand and table Bucky detector movements. Requiring no special ceiling or electrical preparation, the XR5 can be installed in rooms just 13 feet wide by 13 feet deep by 8 feet high and 240VAC. Generator Exposure Time Range	6.3s Max. The ergonomically designed C-Series Cesium Iodide and Gadolinium Oxysulfide wireless detectors are designed to offer new levels of handling, functionality and exceptional diagnostic image quality. 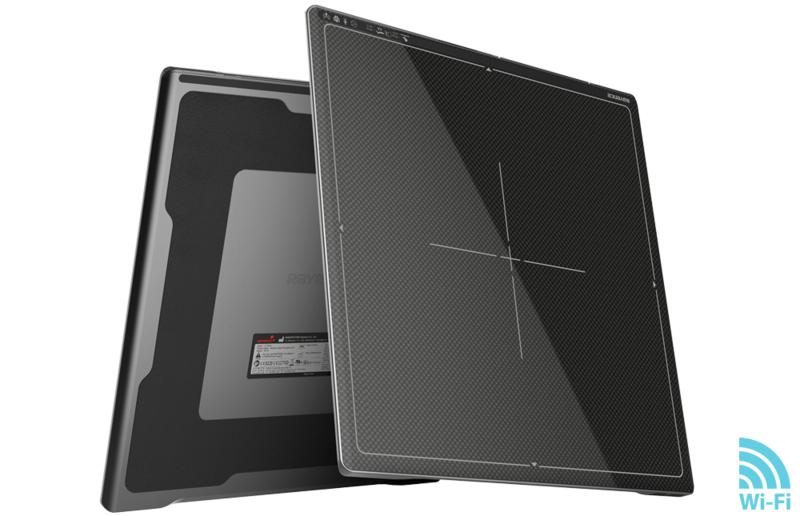 Carbon-fiber, seamless unibody construction combined with a shock, vibration and scratch resistant composition makes them well-suited for demanding imaging environments. 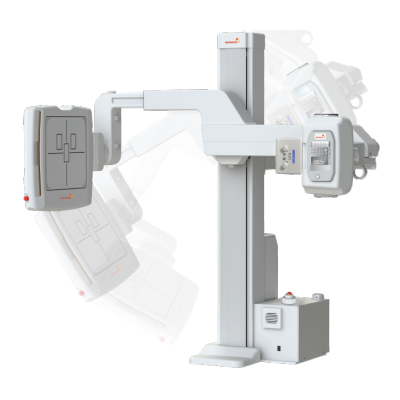 Auto triggering technology requires no integration to the x-ray generator and underscores their capability of being used in various imaging environments. The built-in memory stores up to 200 images and allows images to be taken if a computer connection is unavailable, and prevents the loss of images should there be a power or network interruption . An Auto Image Rotation function eliminates the need for the technologist to configure image orientation by automatically displaying images correctly. The detector's high Detector Quantum Efficiency (DQE) achieves superb image quality with low patient dose. Supporting up to 660 lbs(Point: 330 lbs) and made with a shock, vibration, and scratch resistant carbon fiber shell. Detecors are water resistant to most typical water spills in a hospital as well as in outdoor applications. XmaruView is a flexible image acquisition software for today’s diagnostic imaging providers. 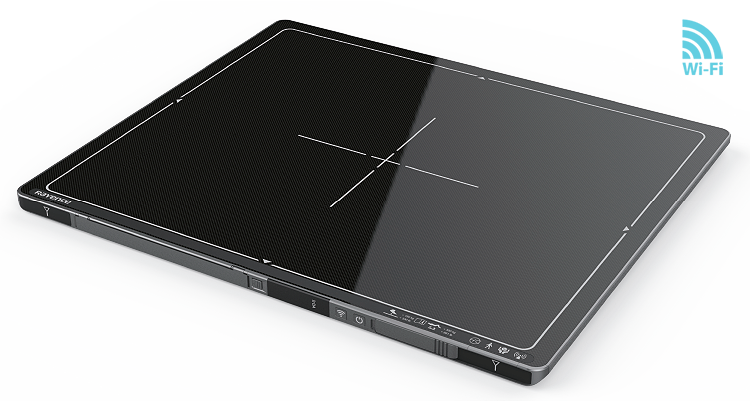 The XmaruView (XV) console drives the Xmaru Panel Series to its full potential using industry’s most advanced image processing algorithms for the highest quality diagnostic images. 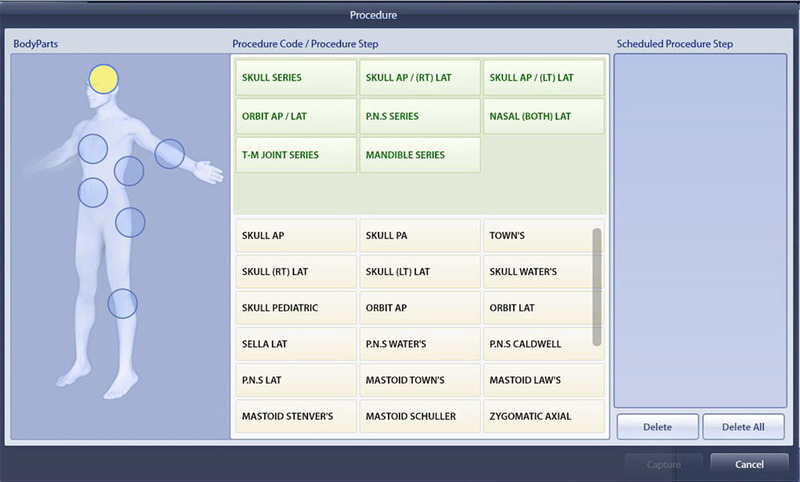 The XV software comes with standard features like DICOM Modality Work List (MWL), Image Stitching, DICOM Printing, and DVD/CD Burning with viewer. Image stitching is achieved by selecting one of three methods: Full-Auto, Semi-Auto or Manual. To eliminate the exposure borders of each image due to varying densities, Rayence’s advanced gradation process is automatically applied. 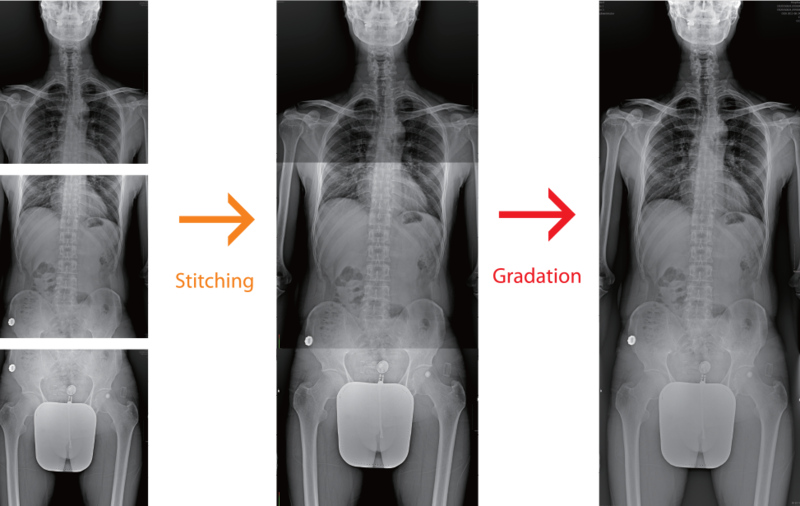 Together with Rayence’s optional automatic stitching software, up to three views can be automatically stitched at a touch of a button, making stitching examinations easier than ever to attain.